Yes, the title says it accurately. 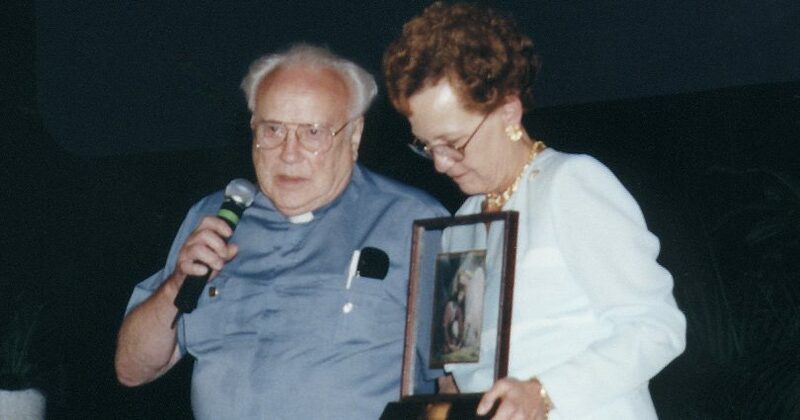 Father Paul Marx, OSB (1920-2010), did more to keep the pro-life discussion focused on the root causes of abortion than anyone in my entire existence. And it was precisely because of his confrontation with this evil that Father was always in hot water! You gotta love a Catholic priest with so much confidence in truth that he confronts those who deny it at every turn. And the Brown family surely loved him! Our involvement with the great and unforgettable Father Marx goes back to our earliest days in the pro-life cause. In 1977, Paul Brown, my husband, who was then executive director of Life Amendment Political Action Committee (LAPAC), traveled to Syracuse, New York, with LAPAC president Sean Morton Downey Jr. to speak at a pro-life rally. His fellow participants included Anita Bryant and Father Marx. But soon after Paul and Sean arrived in Syracuse, they learned Father had just been thrown out of a rectory because he refused to accommodate a request from the cathedral’s pastor to avoid the subject of contraception during his homilies the following Sunday morning. Father asked Paul if he could sleep on the floor of their hotel room. Of course, Paul ordered a bed for him and, on that evening, a lifelong friendship began. Father Marx inspired Paul and I to never give up an inch to the culture of death and never back away from the truth that contraception is the root cause of abortion. Believe me when I say this caused all sorts of problems, disagreements and downright nastiness from those who did not agree, but that never stopped Father. And due to his persistence, all that truth rubbed off not only on us but our children as well, thank God. When Father Marx first came to Washington, D.C., a couple of years later, it was because he had been forced out of his abbey in Minnesota by dissenting priests who claimed he was somehow delusional. Well, we couldn’t permit that type of character assassination to ruin all the good work Father was doing, so we took him into our home. He lived in our basement for a couple of months. Then we secured him living quarters in a rectory near his first office in the capital. And thus Human Life International began. As I recall, in 1980 when this occurred, Paul even had to teach Father how to write a check! You see, having entered the seminary as a 14-year-old high school student, he had never had to deal with such mundane things. But he caught on very quickly to efficient money management. What is perhaps most unique about our relationship with Father Marx, however, is that he taught us more than we could ever have hoped to teach him. He was a man committed to Christ with every fiber of his being. When we started formulating all of the policies for American Life League, even before he came to be part of the Washington, D.C. scene, he would take time on the telephone to help us come up with the right words, say the right things and, charitably but firmly, stay on point. He had all kinds of patience for those who believed in truth and absolutely none for those who would prefer to trash the Church rather than build her up. American Life League’s entire philosophy is grounded in Catholic teaching, and we can say, without batting an eye, it was in no small measure due to the influence of Father Marx and, of course, other fine Catholic priests to whom we could turn whenever we needed answers for important ethical questions. The first time we addressed human personhood, which was at our founding in 1979, it was Father Marx who coached us on the correct language to use and explained to us the science proving the preborn baby’s humanity, which enabled us to discuss the matter with all of the logic and factual information available at the time. It’s interesting how, over these past 32 years, the terminology we use regarding personhood has become much more detailed, out of necessity. But the basics have never changed, and we also owe that to Father Marx. He spent a lot of time not only studying the opposition, but attending their meetings and learning their weak spots so we could blow holes in their arguments. Father loved doing that, so we learned how to do it from the master. Looking back on that event in Minneapolis, where Father Marx brought a crowd of hundreds to their feet when he finished his remarks, it is such a blessing to know God granted us the opportunity to pay tribute to this humble priest who did so much for our family, for the preborn child and for the world to which he ministered. Today, Father Thomas J. Euteneuer, HLI’s president, tirelessly carries on the mission begun by Father Marx. And I know he joins with all of us in saying we are eternally grateful to God for inspiring Father with the faith, hope and love that carried his work to so many places. A couple of years before his death, Father Marx sent me a handwritten note I will never forget. He jotted, “You are doing great work! Don’t ever stop! !” Father, we promise you we never will! How could we? Born as the 15th of 17 children on May 8, 1920 (just 10 days before Pope John Paul II). Entered the novitiate at Saint John’s Abbey in Collegeville, Minnesota, in 1941. Ordained to the priesthood on June 15, 1947, as a member of the Order of Saint Benedict. Personified the Benedictine motto, Ora et labora (Latin for “Pray and work”). Received a doctorate in family sociology from Catholic University of America. Completed more postgraduate work at Harvard University, the University of California at Berkeley and American University. Founded the Sociology Department at Saint John’s University in Collegeville in 1957 and chaired it until 1970. Wrote his first pro-life article in 1967 and authored 13 books, including The Death Peddlers: War on the Unborn (1971), which sold over a million copies; The Flying Monk (1990), The Warehouse Priest (1993) and his bestselling autobiography, Faithful for Life (1997). Founded the Human Life Center at Saint John’s University in 1972 (which became Human Life International in 1981) and the Population Research Institute in 1989. Was influential in the conversion of many to Catholicism, including Dr. Bernard Nathanson, who, prior to his conversion, was an abortionist and founding member of the National Abortion Rights Action League. Promoted the culture of life for over 40 years. Logged almost three million miles spreading the pro-life message worldwide, having visited all 50 states and 91 countries. Retired to Saint John’s Abbey in 1999. Was buried on March 26, 2010 at Saint John’s Cemetery. 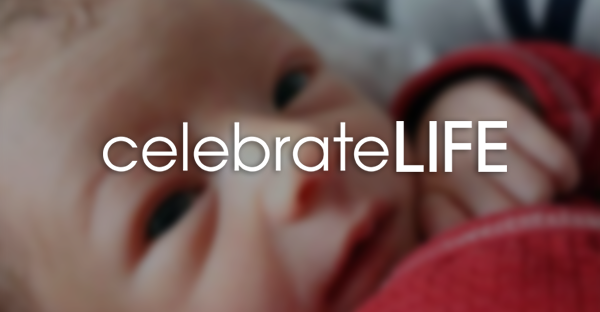 Judie Brown is president of American Life League and served 15 years as a member of the Pontifical Academy for Life.